Autumn is here which means choir rehearsals begin again! Join us on Tuesday 16th of September in the St Giles’ Centre on Camberwell Church Street at 7.45pm for our first rehearsal this term. The diary is going to be bursting with gigs this term… but first, here’s what we got up to in the summer! In June we sang at ‘Masters of Pop’ which was simply EPIC! 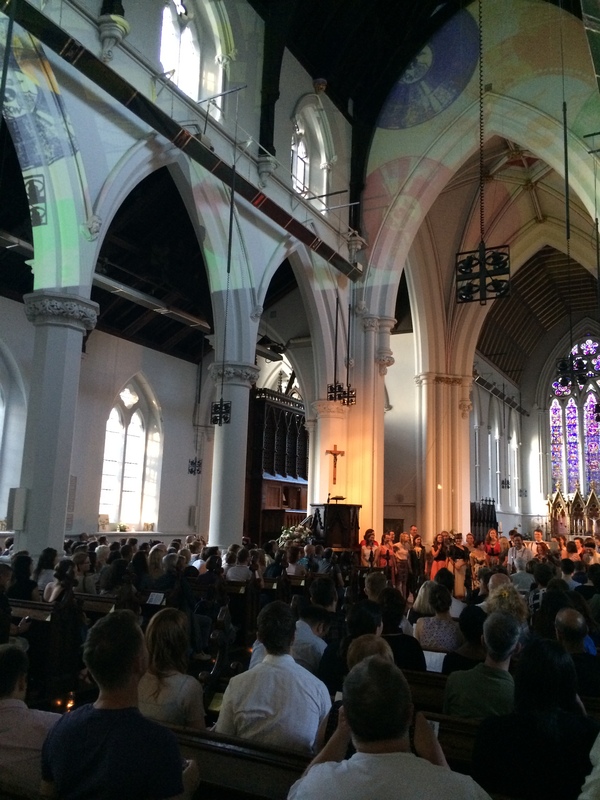 Featuring three other choirs, the concert kicked off Camberwell Arts Week and St Giles’ church was absolutely buzzing. The audience lapped up our ‘Goodnight Sweetheart’ even though it was supposed to be a pop concert! 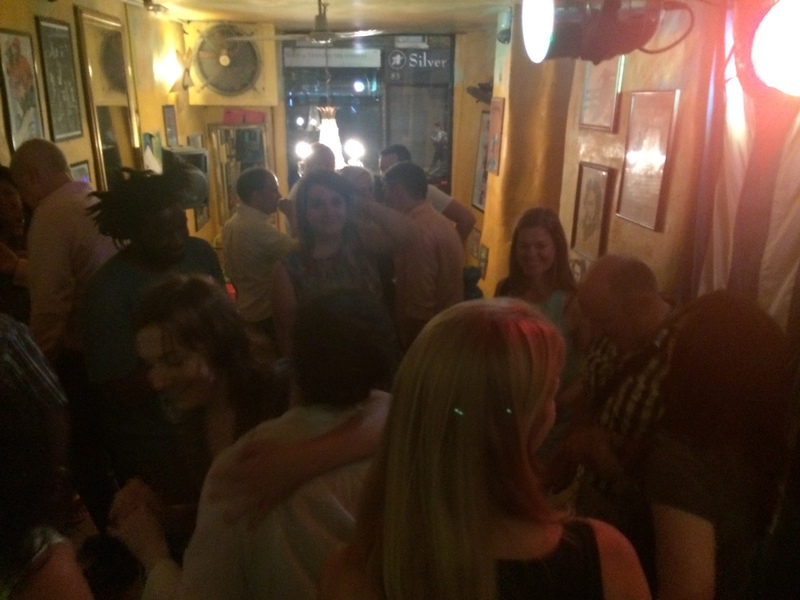 There was a huge singalong with all the other choirs and – the after party – wow! On to July and ‘The Events’ was probably one of the most exciting, poignant, exhilarating and fascinating performances we’ve ever done as a choir. The Events was a very dark – but ultimately hopeful – play about human nature and required a different choir every night to interactively take part in the performance. Step forth Camberwell Community Choir! We ended up performing twice at The Young Vic and both our performances went so well. It was hard work and there were loads of songs to learn but it was well worth it! We all had a lot of fun treading the boards and the production team and the actors were brilliant and ended up coming with us to yet another after show party! Evidence above! 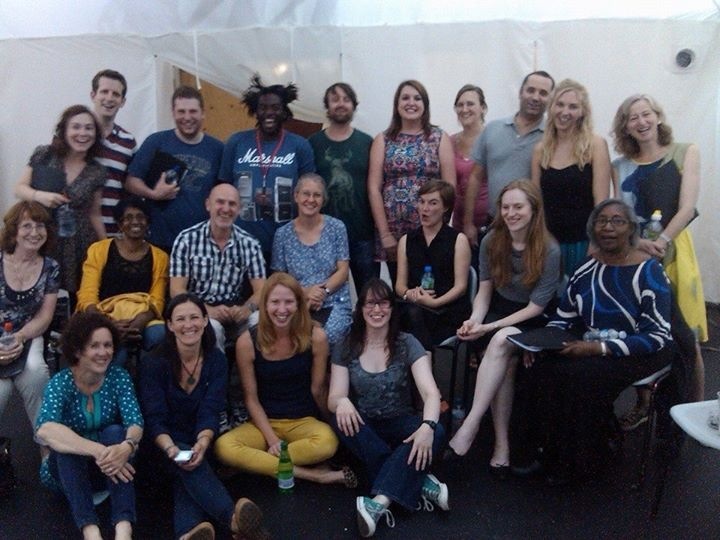 Our final performance of the summer was at Kings’ College Hospital on Denmark Hill. As part of the commemoration of the start of WWI, we sang some songs popular on the home front and the theme from ‘Band of Brothers’ by John Williams. Aga played some clarinet music by WWI composers and the ‘March Past’ music of the Queen Alexandra’s Nursing Corps army unit, which was largely founded at Kings’. Matt sang some of the most heart wrenching music ever written by a British composer, who was killed in the great war, George Butterworth. 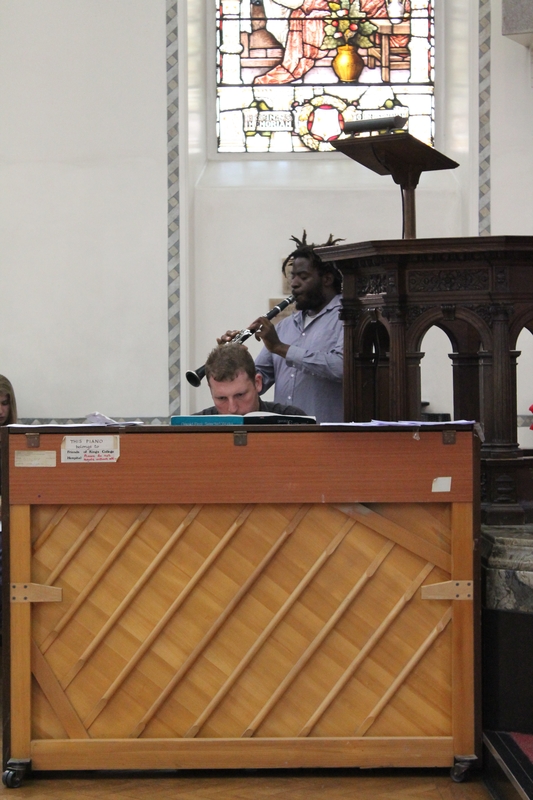 It was a very emotional – and perhaps a difficult – performance to be involved with but it showed the power of music; to link people and events from a different time to the world we all live in today. So a very busy summer! But lots more to look forward to – Aga, Matt and Ashley can’t wait to begin rehearsals and meet some new faces along with the regular crew! You’re always welcome! Previous PostBusy Term incoming…Next PostA Fright night at the movies!